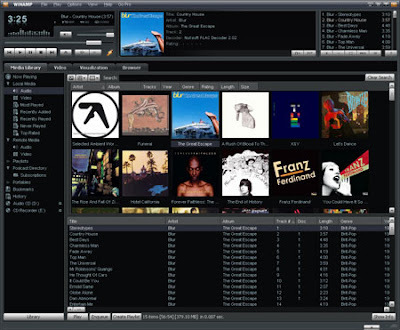 That's right, 10th Anniversary, the first version of Winamp came out in 1997. Interestingly, on the 6th of August that year, Microsoft bought a $150 million share of the "financially troubled" Apple. Since I bought my iPod (2004) I've pretty much exclusively used iTunes however, my foray into the world of FLAC has meant that it's not really meeting my requirements any more and I've been looking for a media library application with better format support.